Calabogie Peaks is committed to mountain safety by promoting skier and rider mountain regulations and rules to ensure the best possible guest experience. We follow industry standard safety guidelines provided by the Ontario Snow Resorts Association www.skiontario.ca and National Ski Areas Association www.nssa.org that are geared towards all alpine activities allowed on our trails including alpine skiing, snowboarding, telemark skiing, and adaptive skiing. Mountain safety is important for everyone and we recommend staying on terrain that is within your ability level and following the Alpine Responsibility Code. During the winter operating season, skiers wishing to ski up are required to visit the Adventure Centre to sign a waiver; snowshoers are allowed to access the trail head off the bottom of K&P only or a snowshoe lift ticket may be purchased to walk down the hill. This policy protects all guests, skiers and riders. The Resort offers numerous hiking trails that are suitable for both winter and green season use. We recommend the use of helmets on the slopes. Keep in mind that your behavior has as much or more to do with the safety of the sport than any piece of equipment. 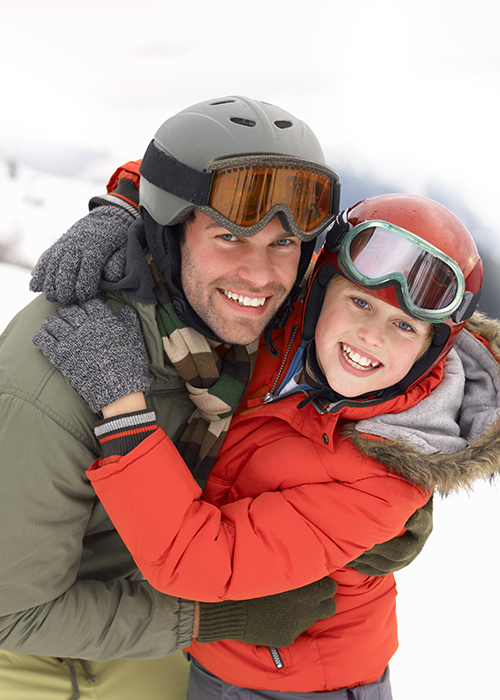 The Ontario Snow Resorts Association offers additional resources for consumers to learn about helmets. Calabogie Peaks has 2 chairlifts and a carpet lift. Every skier and boarder must load, ride, and unload responsibly. For information on lift safety, check out KidsOnLifts.org for tips, advice, and FAQs. “No Horsing Around” is a motto we hope to ingrain in every skier and boarder. The trails and terrain parks are designed for use by skiers and riders only and any form of downhill descent other than by skis or snowboard is prohibited. All skis and snowboards should be equipped with a device to prevent runaway equipment. Sledding or sliding in any form is prohibited at the Resort. Guests accessing the trail system must adhere to the Alpine Responsibility Code. For the safety of our guests, dogs must be leashed on Resort property and are not permitted in public areas. Click here for our Pet Policy. Calabogie Peaks also adheres to guidance and signage developed through the SMART Style Freestyle Safety Program for our terrain parks The National Ski Areas Association also provides helpful resources for safety facts and tips. The coloured symbols next to the trails are the keys to enjoying your first few days on the slopes. Their shape and colour indicate the difficulty of the trail.